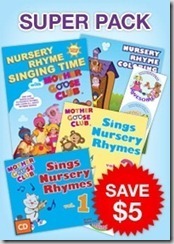 Mother Goose Club is a series of 1-minute educational programs for preschoolers promoting early literacy. The live-action series features six colorful characters from the Mother Goose world: Teddy Bear, Jack B. Nimble, Little Bo Peep, Baa Baa Sheep, Mary Quite Contrary, and Eep Mouse, who invite viewers to sing and dance along to favorite nursery rhymes. Early childhood research has shown that familiarity with nursery rhymes helps young children learn to read. When preschoolers read, recite, sing or clap along to rhymes, they develop a feel for the sounds and structures of language, the first step in becoming successful readers. 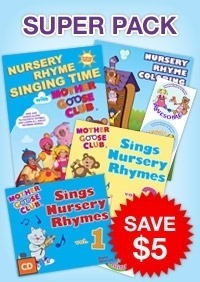 Mother Goose rhymes also introduce children to characters, drama, simple story structure and a host of new vocabulary words, all building blocks for early literacy. Perhaps most importantly, children are delighted by the singing, clapping, and finger play in nursery rhymes, and learn to associate words and verse with joy, laying the foundation for a lasting enthusiasm for reading. My husband and I have taken a conscious effort to read nursery rhymes to our children. 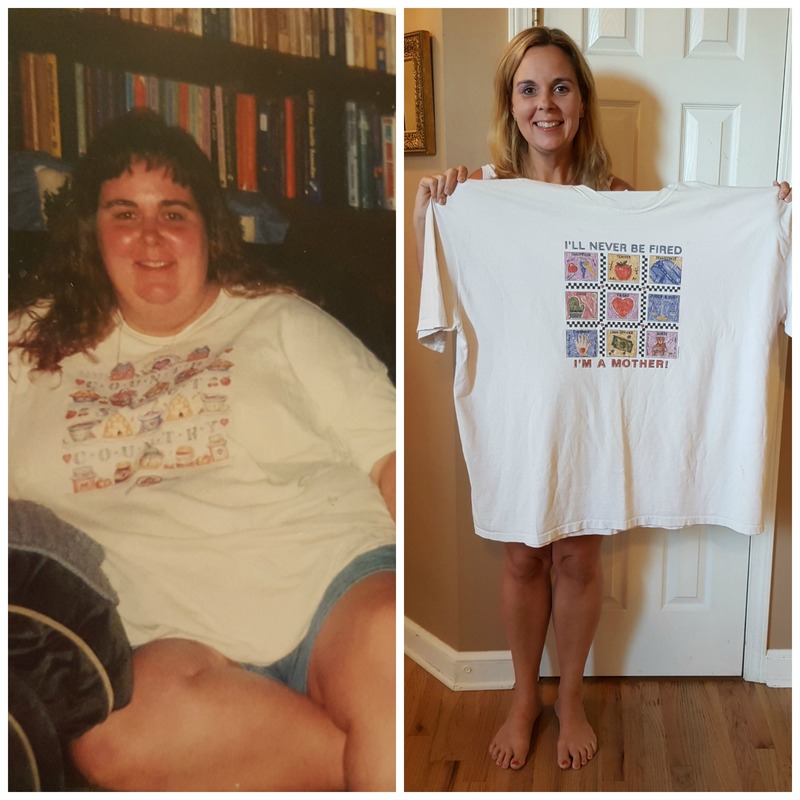 We felt like it was something that is enjoyable for the kids and because of my background in education, we knew that rhyming was a stepping stone to reading. Ethan has a nursery rhyme book he likes us to read almost every night and he has recently taken to “singing” his book at bedtime. He turns the pages and sings us the rhyme on that page… so cute! 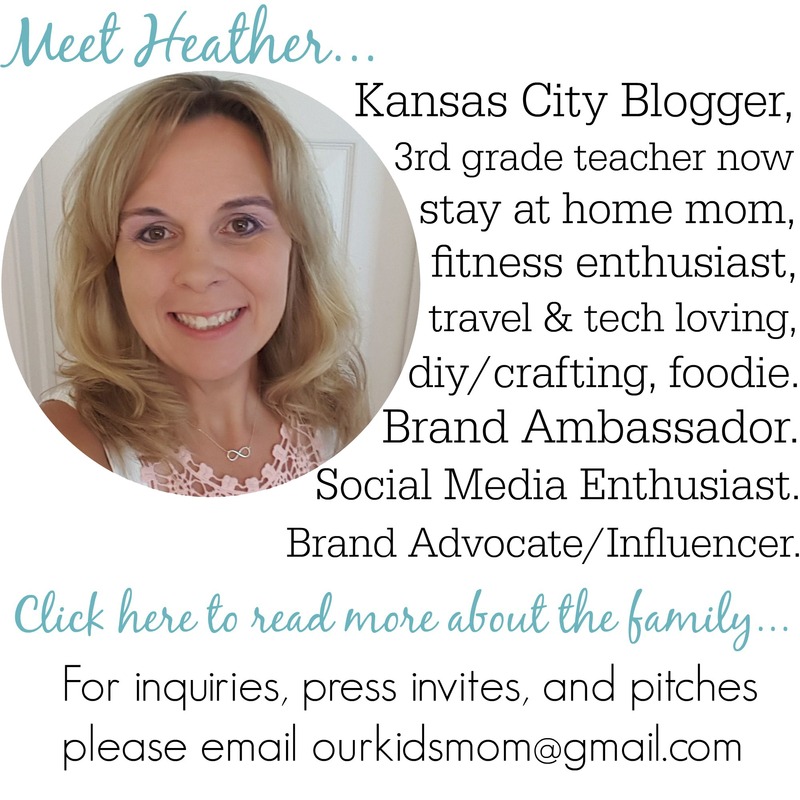 So when I was offered a chance to review the Mother Goose Club I couldn’t say no! We received a DVD, 2 CDs and a coloring book to review. The video clip above is a small selection from the DVD that my kids absolutely fell in love with. Both Emma and Ethan love to sing and they get a huge kick out of seeing the action while singing familiar nursery rhymes. The characters are cute and a little cheesy (the kids love it)… and having the segments in 1 minute increments helps hold their attention. Emma and Ethan have recently turned into my little artists. It’s fun to see how their development is different as they are 21 months apart. Emma has recently learned to color in the lines and Ethan is just happy to get color in the general area. Another difference I’ve just noticed is Emma is actually particular about what color she uses for certain objects whereas Ethan will just pick up a color that looks interesting to him. 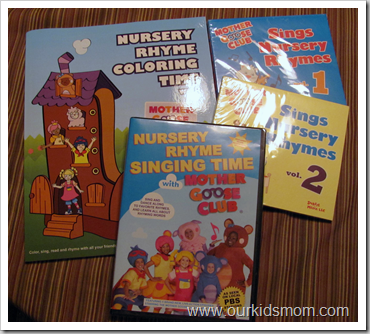 Both kids enjoy coloring in pictures of their favorite nursery rhymes and will sing or speak the rhyme while coloring the picture. The CDs contain 30 tracks each… all of the familiar nursery rhymes and a few unfamiliar to keep your children entertained and unknowingly help build a foundation for reading! I sometimes turn the CD on while they are having lunch as background music. My kids like to race over to the CD player and be right up next to the music (I have no clue why LOL). Here is a clip of my Ethan singing along. My final say: Both Emma and Ethan love these items and I am so glad we finally found one that doesn’t annoy Mom and Dad to no end. I have downloaded several kids songs (nursery rhymes etc.) for them to listen to and there has always been something (the voice, the music or both) that would annoy me. I don’t mind listening to these with the kids at all! Yippee! 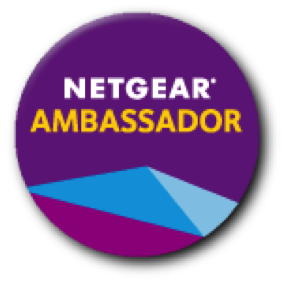 [tweetbox width=500 height=50 label=Retweet! 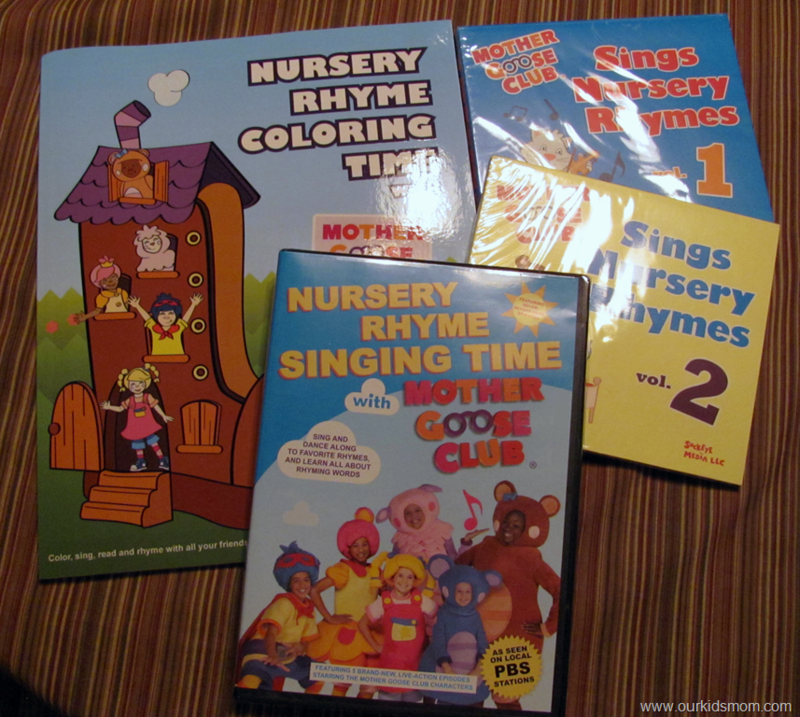 content =”Mother Goose Club Nursery Rhyme Singing Time DVD and CDs Review with VIDEO @mothergooseclub @ourkidsmom %u “] Disclaimer: I received product from Mother Goose Club through Team Mom for the purposes of review only. I was not compensated for this post and all opinions remain 100% my own. Thanks for the awesome review — and that video is precious! That’s great that they are mom and dad friendly. I have downloaded some odd versions of nursery rhymes…thanks for the review.